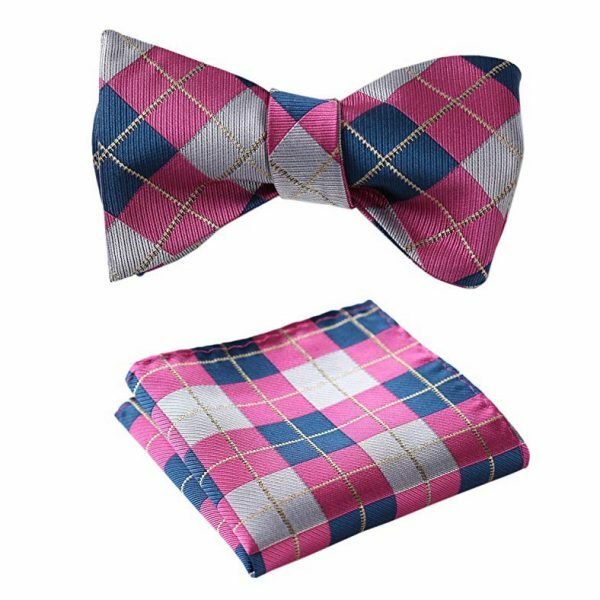 This gentleman’s pink and blue plaid bow tie set is a perfect way to add some unexpected color and pattern into your accessory collection. 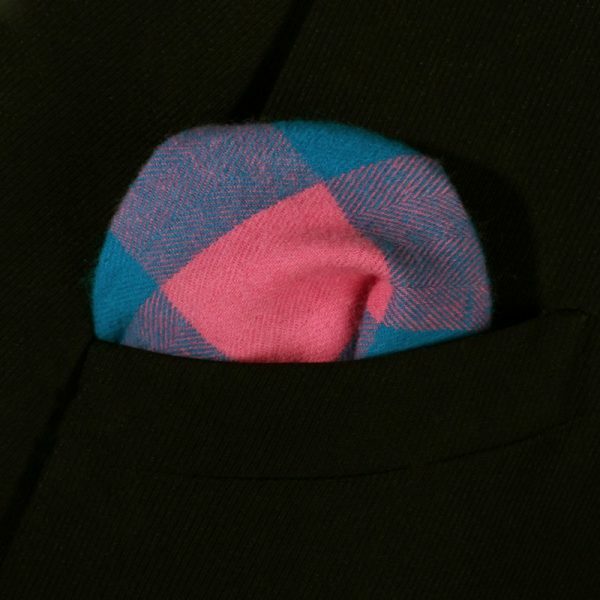 The soft muted colors add visual appeal without overpowering your look. 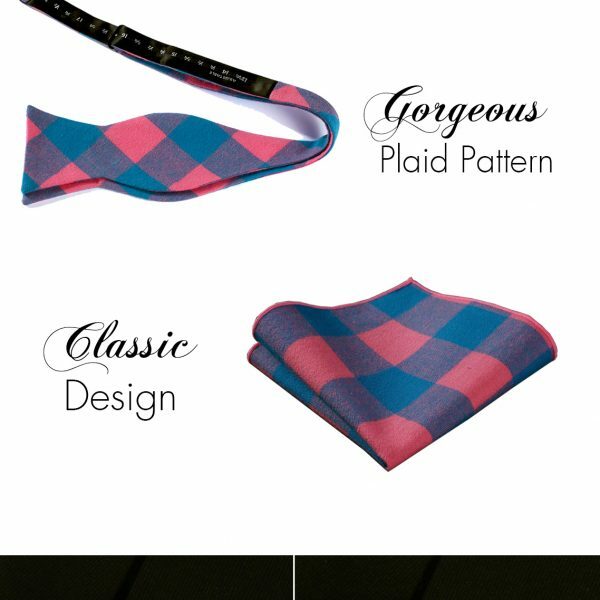 The plaid pattern is classic and masculine. 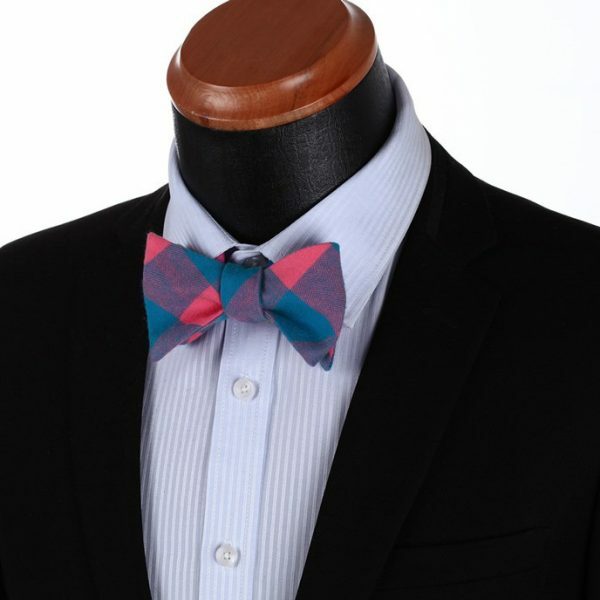 This bow tie set pairs well with everything from business suits to casual looks. It is sure to get you noticed for all the right reasons. 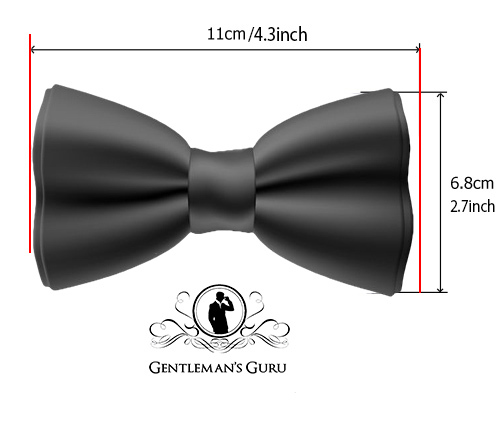 Take your neckwear game to a new level with quality bow tie set. 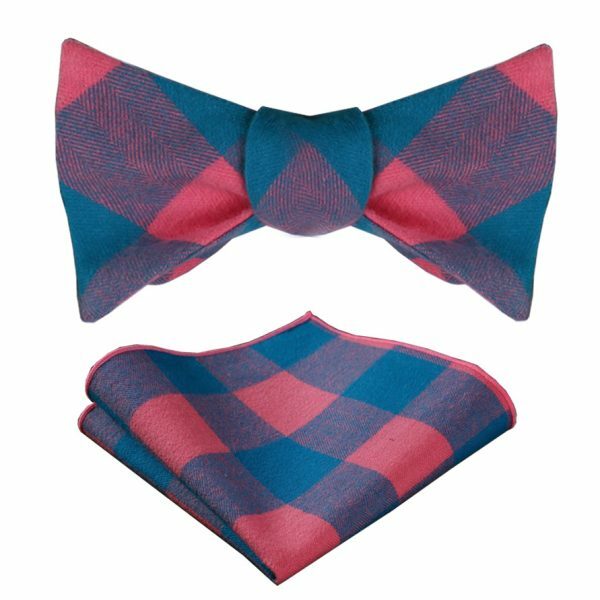 This beautiful pink and blue plaid bow tie set is carefully crafted by hand with 100% high-quality cotton material. 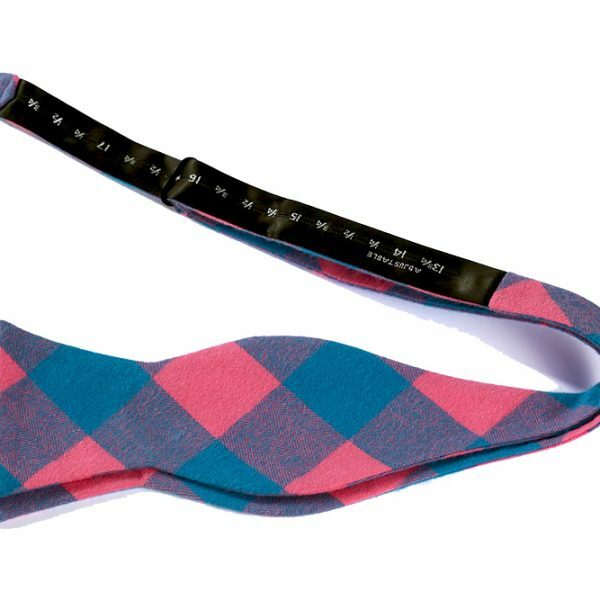 Soft, strong, fade resistant and comfortable to wear are just a few reasons this set is worth adding to your necktie arsenal. 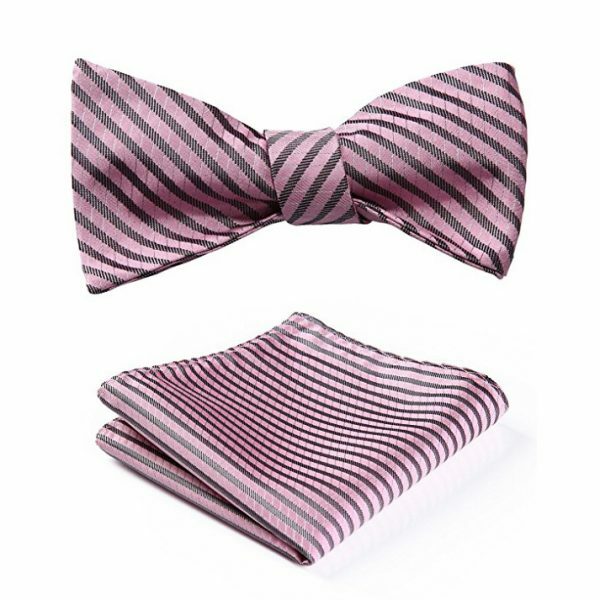 Each set comes with a self-tied bow tie and a matching pocket square. 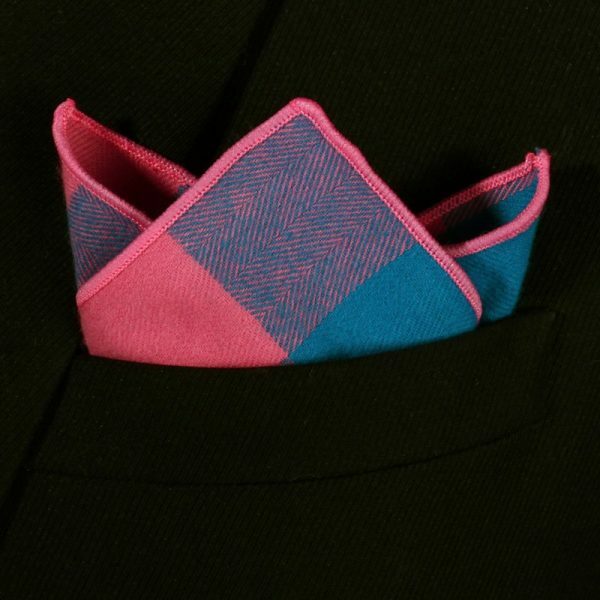 This set makes a smart choice for the snappy dresser and is a great gift for birthday’s, the holidays and more.